There are two artists which use this name 1. An indie rock band 2. A project of Alain Johannes and Natasha Shneider 1. Walk the Moon is an indie rock band that formed in Cincinnati, Ohio in 2008. The band consists of Nicholas Petricca (vocals, keyboards), Kevin Ray (bass, vocals), Eli Maiman (guitar, vocals) and Sean Waugaman (drums, vocals). The band has released two albums, "I Want! I Want!" (2010) and "Walk the Moon" (2012). The band's single, "Anna Sun", peaked at #10 on the Billboard Alternative Songs chart in 2012. 1. 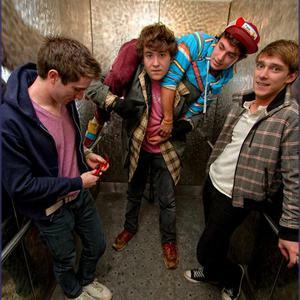 Walk the Moon is an indie rock band that formed in Cincinnati, Ohio in 2008. The band consists of Nicholas Petricca (vocals, keyboards), Kevin Ray (bass, vocals), Eli Maiman (guitar, vocals) and Sean Waugaman (drums, vocals). The band has released two albums, "I Want! I Want!" (2010) and "Walk the Moon" (2012). The band's single, "Anna Sun", peaked at #10 on the Billboard Alternative Songs chart in 2012. 2. 1. A duo consisting of Alain Johannes and Natasha Shneider who released one self-titled album in 1987. The single ?Daddy's Coming Home? received some alternative radio and MTV airplay. In 1990, Johannes and Shneider formed Eleven.